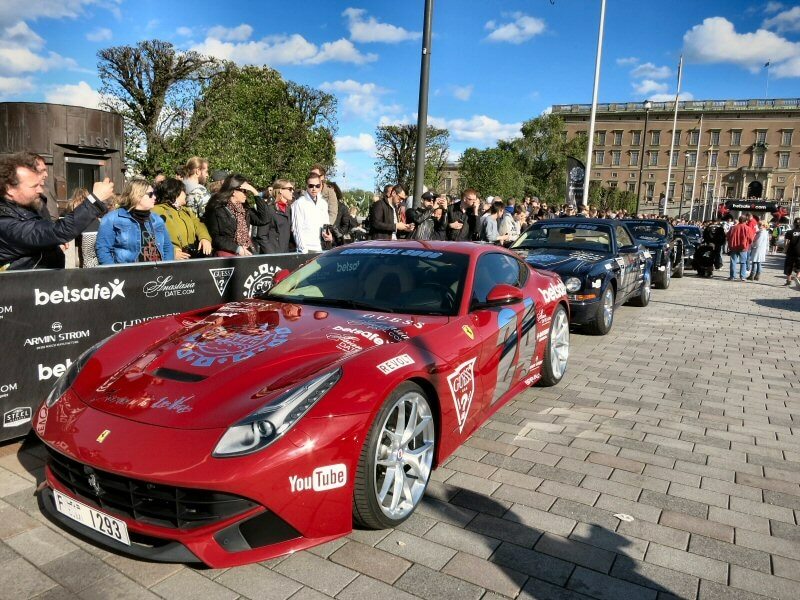 The Gumball 3000 Rally, which consists of more than 3,000 miles of driving over the course of six days, attracts some of the most interesting cars in the world to its starting grid. This year's Rally, which hopped the Atlantic by starting in Sweden and ending in Las Vegas, Nevada, was no exception, and so we decided to document some of the craziest cars we saw while participating in the event. As intriguing as rarities like the Lamborghini LM002 and the Ferrari F50 are, we decided to stick with newer models that you could theoretically walk into a dealer's showroom tomorrow and drive home with. 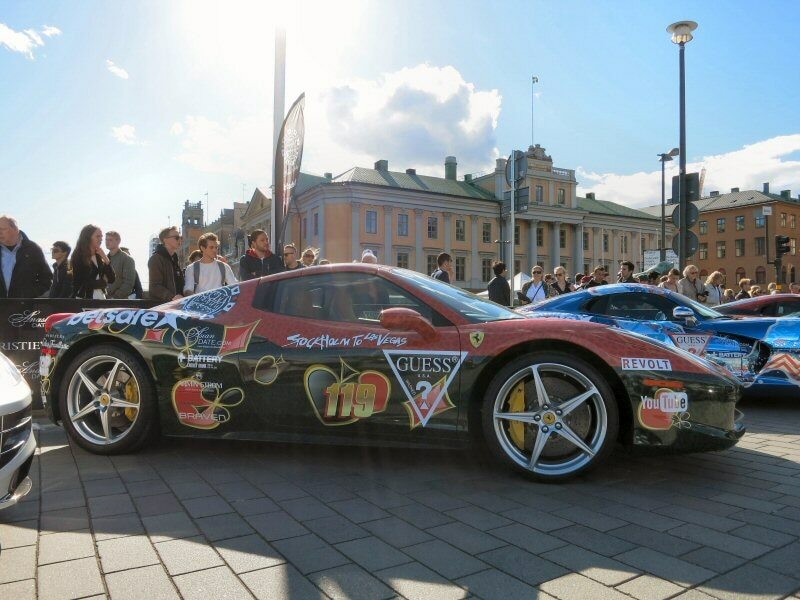 Let's take a quick look at 10 of the craziest cars at the 2015 Gumball 3000 Rally. The Ferrari 458 was a popular Gumballer choice this year, and a quick glance at the specs makes it easy to understand why. The eight-cylinder Ferrari 458 benefits from 570 horsepower and 398 lb-ft of torque, which is enough to scoot the coupe to 60-mph in roughly three seconds. A seven-speed automatic transmission is standard with the 458. 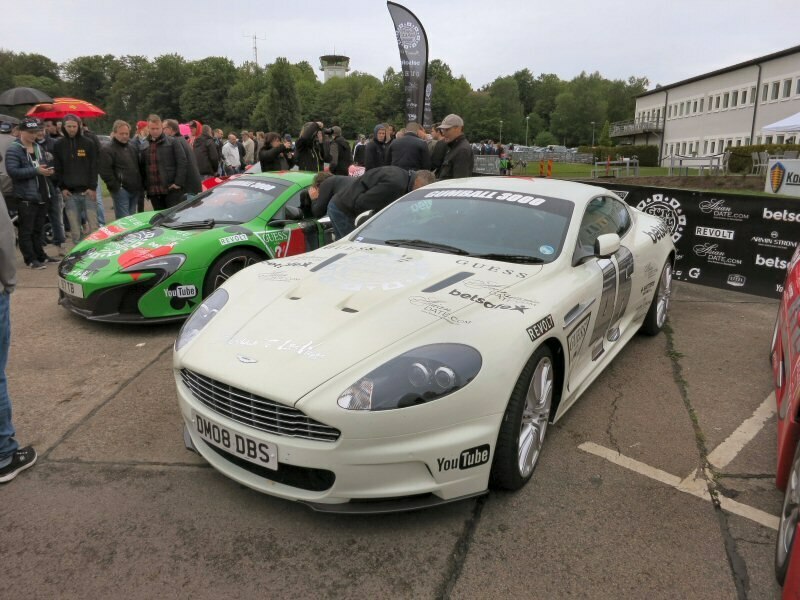 Keen eyes at the Gumball will have noticed that there were a several Speciale editions of the car in attendance as well, which feature a power boost to 597 horses. Despite its name, the Rolls-Royce Phantom Drophead Coupe is actually the convertible version of the two-door Phantom, borrowing the term 'drophead' from the British lexicon to denote the fact that its roof can be folded down. 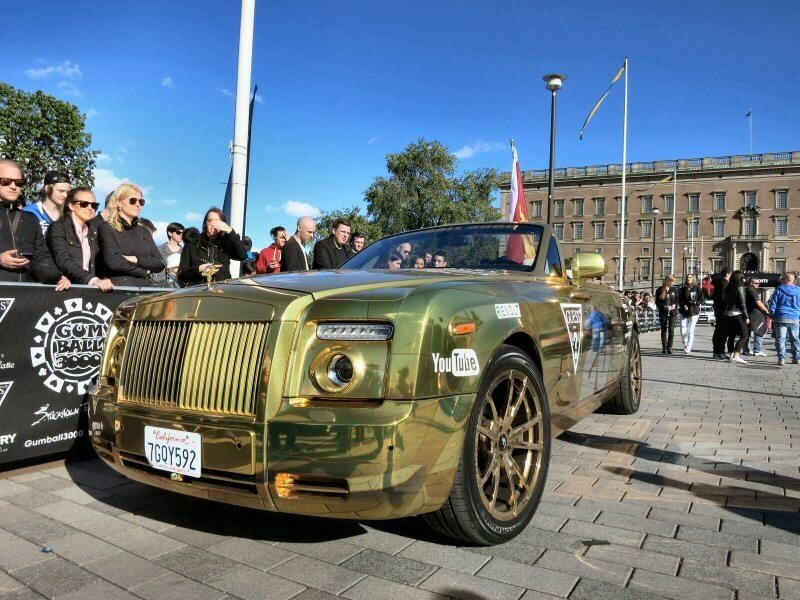 Wrapped in an impossible-to-ignore reflective gold chrome, this Rolls-Royce Phantom Drophead Coupe was driven by a team that chose to close out the rally in full Roman armor while a Scottish piper lead them across the finish line. Aside from its outstanding comfort, the Rolls-Royce offers 453 horsepower and 531 lb-ft of torque from its 6.7-liter V-12, which gives the astonishingly heavy (nearly 6,000 lbs) Phantom Drophead Coupe a top speed of just under 150-mph. 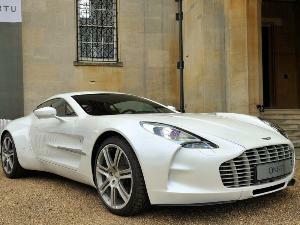 Not bad for half a million dollars. Although it features a considerably more modest starting price than the Drophead Coupe, the Ferrari F12berlinetta is a much hotter performer. For about $320,000, the Ferrari F12berlinetta also features a 12-cylinder engine, one that displaces 6.3 liters and produces a hefty 730 horsepower and 509 lb-ft of torque, with the former appearing at a stratospheric 8,500 rpm. A seven-speed dual-clutch automated manual transmission directs that output to the rear wheels, and the Ferrari can sail past 200-mph with ease, topping out at a white-knuckle 210-mph terminal velocity. Oh, and you'll get to 60-mph in 3.1 seconds from a standing start, which puts the F12berlinetta squarely in supercar territory. 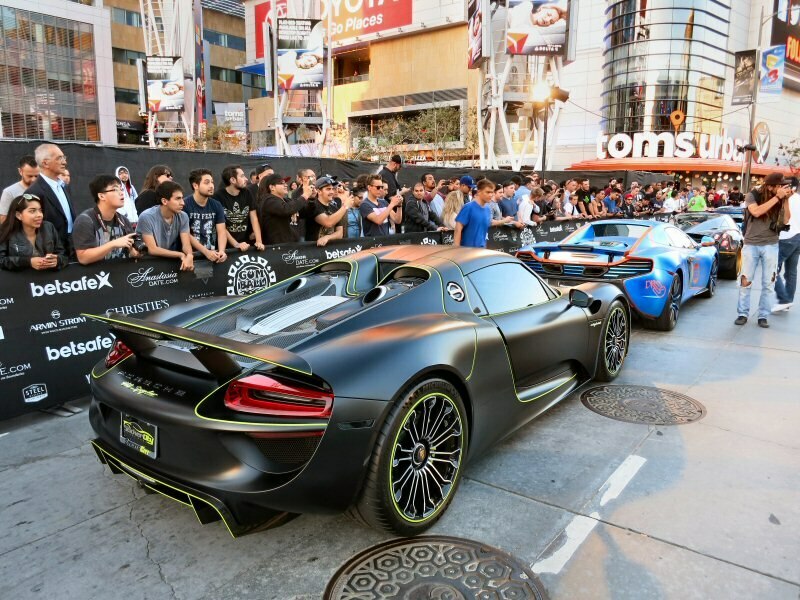 For a car with a price tag of nearly $850,000, there were a surprising number of Porsche 918 Spyders in this year's Gumball 3000 Rally. Not all of them made it - the herd was thinned in Reno when a 918 pulled into the hangar after its cross-Atlantic journey with smoke pouring out of its engine bay - but that's the price you sometimes pay for running bleeding edge technology in an endurance event. 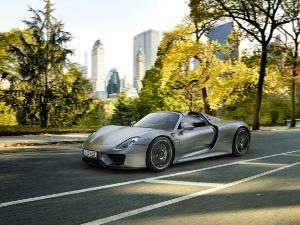 The Porsche 918 Spyder mixes an eight-cylinder engine and a pair of electric motors to produce 887 horsepower and 944 lb-ft of torque, enormous figures that in combination with all-wheel drive and a seven-speed dual-clutch automated manual transmission allow the exotic to hit 60-mph in 2.2 seconds on its way to a top speed of 211-mph. Mercedes-Benz continues to refine its supercar formula, with the Mercedes-AMG GT S being the latest apex of its high performance family. Lighter and nimbler than the model it replaces, the Mercedes-AMG GT S gains a 4.0-liter, twin-turbo V-8 engine that produces 503 horsepower and 479 lb-ft of torque, paired with a seven-speed dual-clutch automated manual transmission. The net effect is a top speed of 193-mph, along with the ability to hit 60-mph in 3.7 seconds. 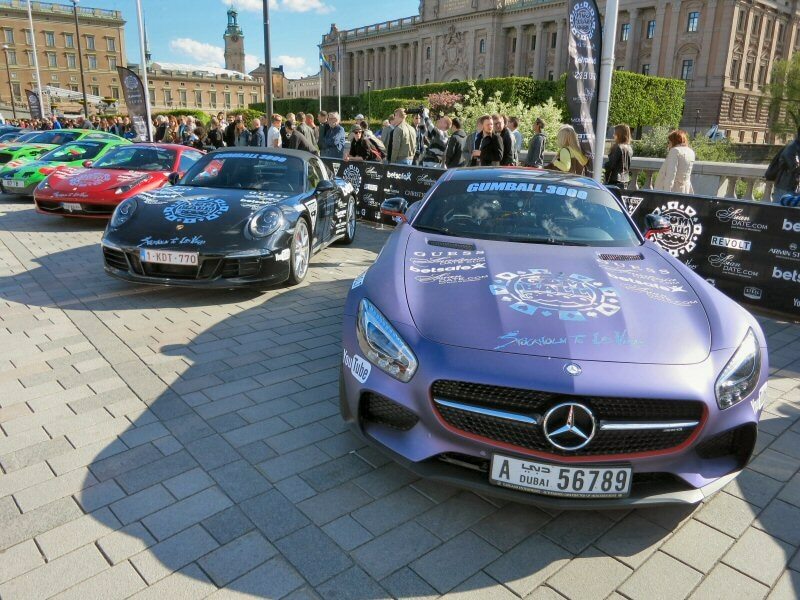 The only real downside of running a Mercedes-AMG GT S in the Gumball 3000 Rally is that you don't get to impress anyone with gullwing doors, as they're now a thing of the past for the Silver Star. The Lamborghini Aventador is a no-brainer for an event like the Gumball 3000 Rally. With several different models to choose from, ranging in engine output from 691 horses all the way up to 740 in the Lamborghini Aventador Superveloce, you've got options on how mighty you want your 6.5-liter V-12 engine to be. 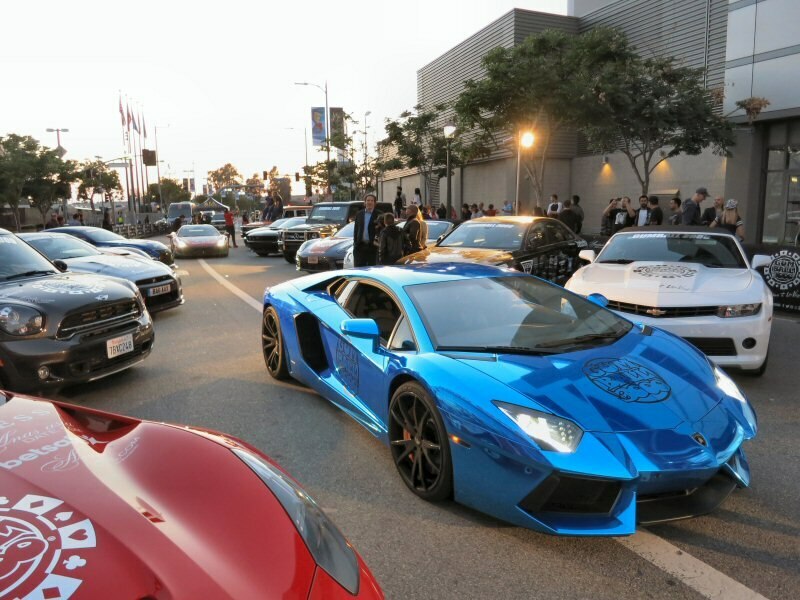 In the case of this participant, overwhelming firepower simply wasn't enough: a chrome blue wrap was also needed to flaunt the Lamborghini's supercar credibility in such distinguished company. Good luck keeping up with this one out on the open road: the all-wheel drive Aventador can stretch its 12-cylinder legs all the way to 220-mph. 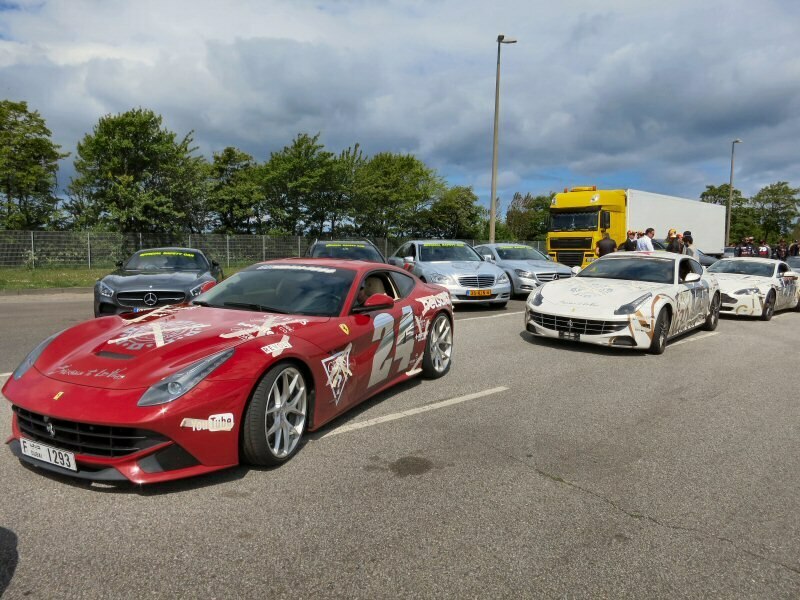 The Ferrari FF is perhaps the most sensible Prancing Horse to choose for a long-distance event like the Gumball 3000 Rally. It comes with all-wheel drive in case the weather turns nasty, it's got legitimate four-passenger room inside to house not one, but two navigators, and it's reasonably affordable at $295,000 so that if you ball it up on the Autobahn you're not out-of-pocket more than the cost of a small bungalow. 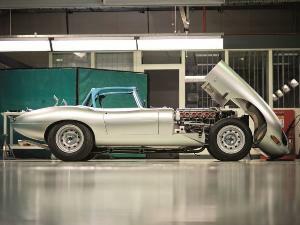 Such a reasonable Gumball chariot made it the natural selection for stealth genius/action movie star Dolph Lundgren, who piloted the 651 horsepower, 12-cylinder Ferrari for the duration of the European leg. 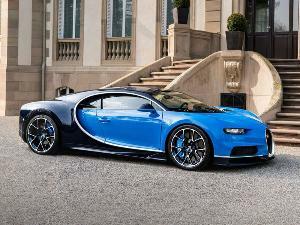 No word on whether he touched its 208-mph top speed, however. Why trade comfort for speed when you can have both in the Bentley Continental GT? 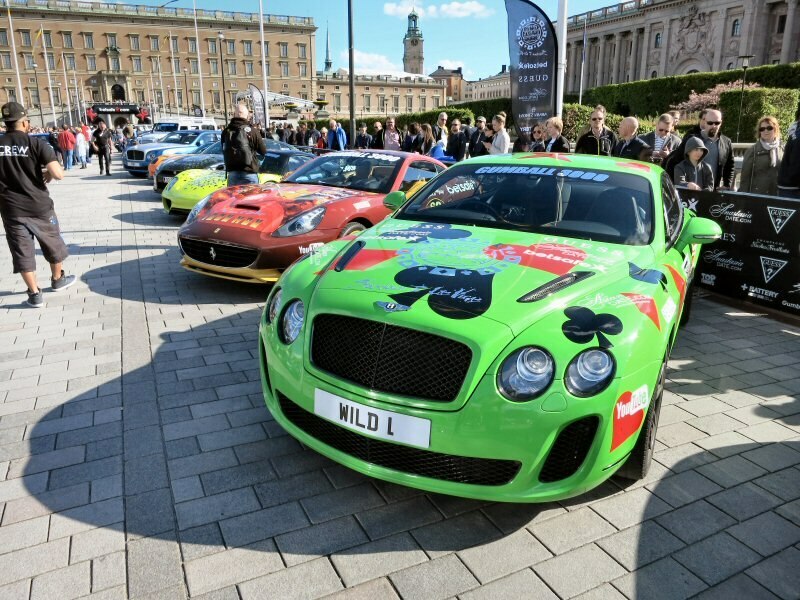 Unlike the Rolls-Royce on this list of the craziest cars at the Gumball 3000 Rally, the Bentley Continental GT has a fighting chance of keeping up with the pack once they cut loose on the highway, as its top speed checks in at over 200-mph when ordered with a 582 horsepower W-12 engine under the hood (you can also grab a GT Speed model that pushes out 626 horsepower). 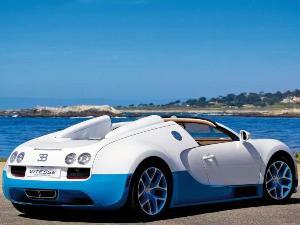 The heavy, but handsome, Bentley also features standard all-wheel drive. It's been a few years since you could by an Aston Martin DBS new, but the car is still a formidable long distance tourer with exceptional speed and luxury to offer its lucky driver. A 5.9-liter V-12 gifts the Aston Martin DBS with 510 horsepower and 420 lb-ft of torque, launching the coupe to 60-mph in 4.3 seconds with a listed top speed of 174-mph. 18-mpg on the highway also helps the DBS extend its pit stops past other, more exotic luminaries, giving it a chance of reaching the checkpoint first despite its slightly slower specs. 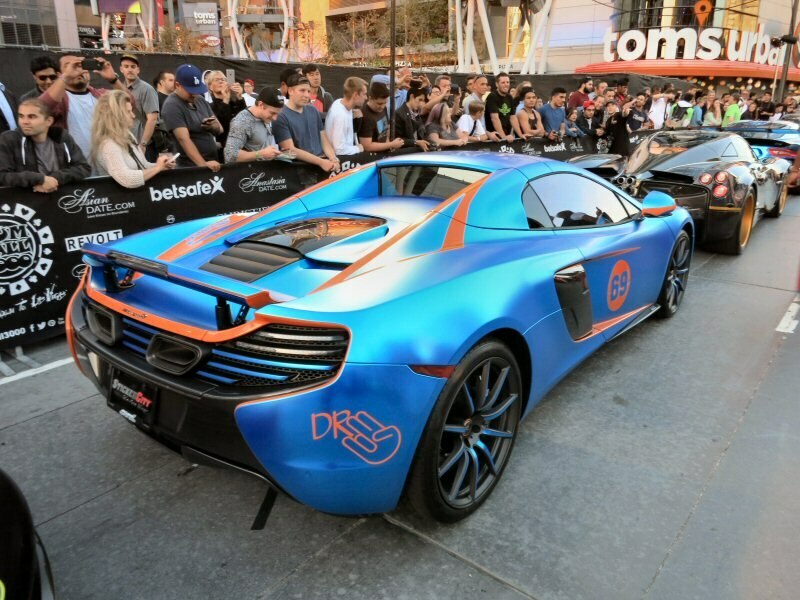 The McLaren 650S Spyder takes the top off of one of the quickest, and most eye-catching supercars on the planet. The McLaren 650S Spyder sips 641 horsepower from a 3.8-liter, twin-turbo V-6, which is enough grunt to push it to 60-mph in under three seconds. You'll reach 205-mph in the McLaren before running out of steam, although to keep the pedal buried for that long in such an alarmingly quick automobile requires nerves of steel and probably a substantial amount of straight Death Valley highway. Not that we'd know anything about that, of course.